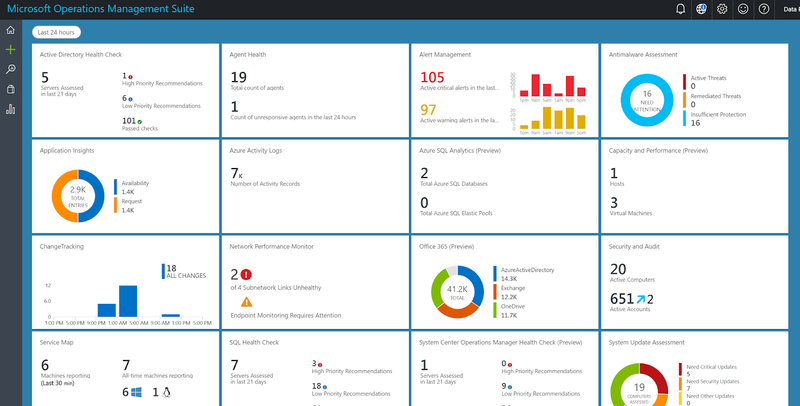 Over the last couple of years, I've worked a lot with the awesome Microsoft Operations Management Suite (aka OMS) and at one of the presentations I attended during Microsoft Ignite last year, it was announced that they would soon be retiring the OMS Portal and integrating all of it's functionality directly into the Azure Portal. 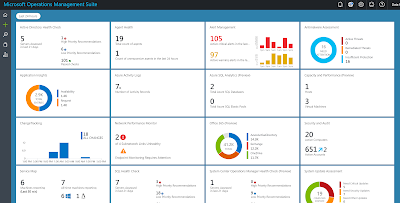 Earlier this week, Microsoft confirmed that the OMS Portal would indeed be retired and all it's functionality moved into the Azure Portal. 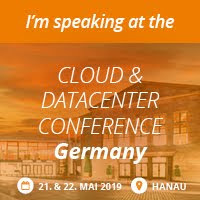 The idea behind this move is to deliver a more centralized experience for monitoring and managing your on-premise and Azure-based workloads. 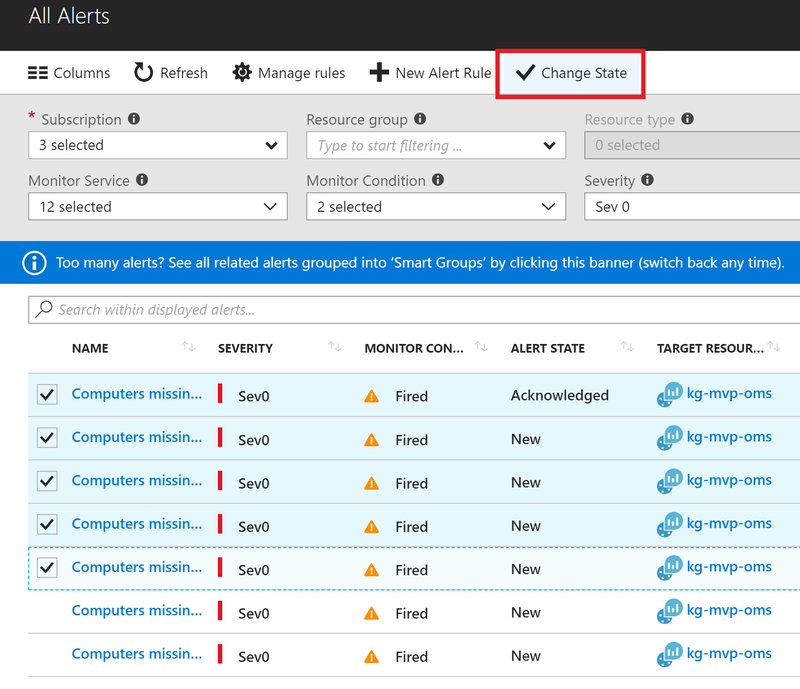 If you're using any of these solutions, then you'll still need to manage them within the original OMS Portal and Microsoft have committed to moving these solutions over to Azure by August 2018. When this happens, Microsoft will then communicate an official timeline for 'sunsetting' the original OMS Portal. 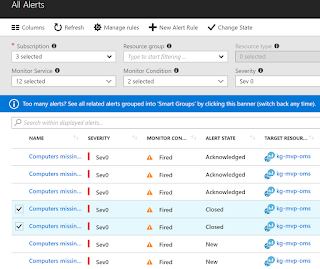 As you can see from the two images above, they're not too dissimilar and in the Azure Portal, we get the added management benefit of being able to quickly pivot directly into Azure Resources using the navigation menu on the left or by simply drilling down into one of the dashboard widgets. 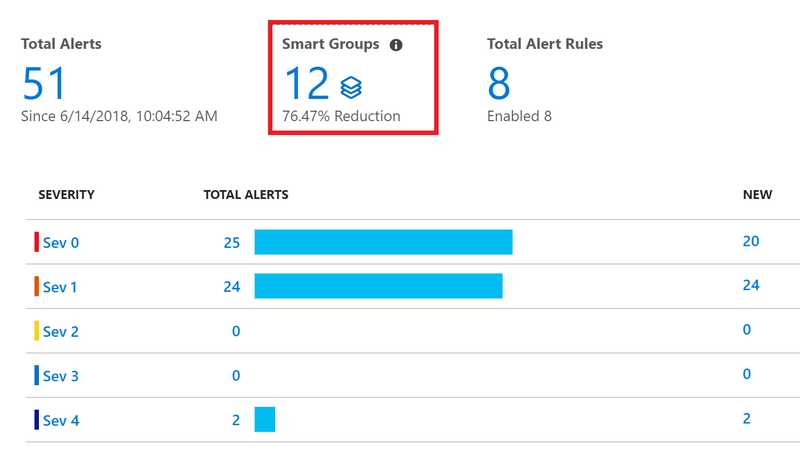 To access Log Analytics resource in Azure, the user must be granted access through Azure role-based access. 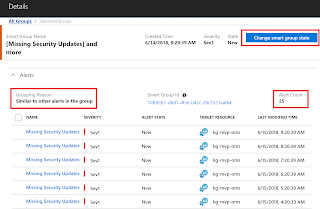 Update schedules that were created with the OMS portal may not be reflected in the scheduled update deployments or update job history of the Update management dashboard in the Azure portal. This gap is expected to be addressed by the end of June 2018. 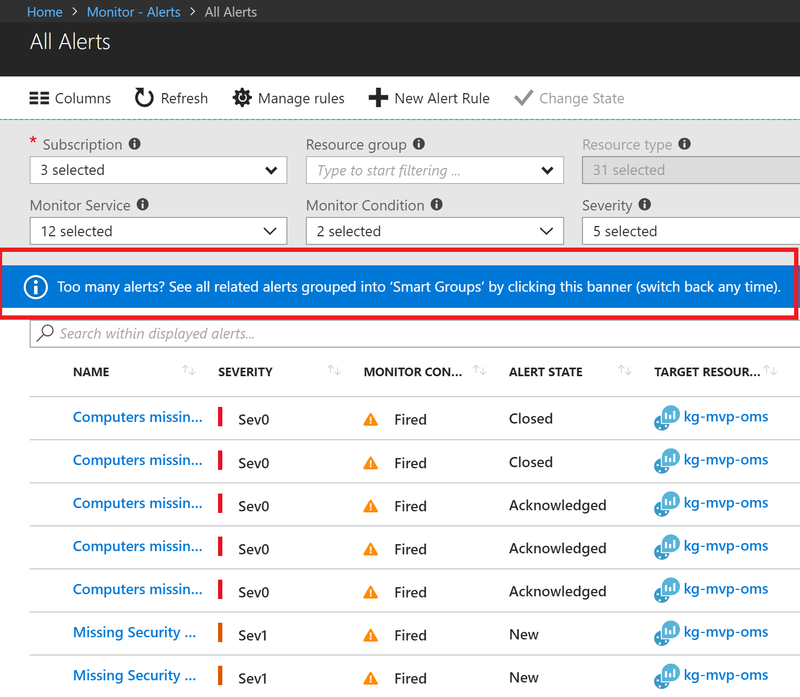 Custom logs preview feature can only be enabled through OMS Portal. 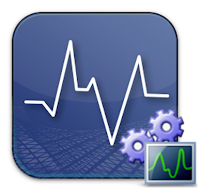 By the end of June 2018, this will be automatically enabled for all work spaces. 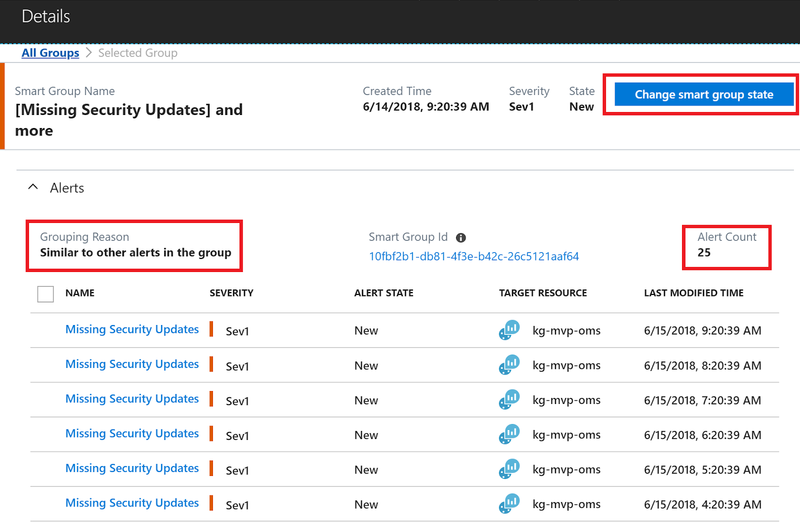 You can read more about these gaps and the planned migration from the OMS portal to the Azure Portal in Microsoft's original post here. They've also put together a useful FAQ post to help answer some common questions that you or your customers might have and you can access this post here. 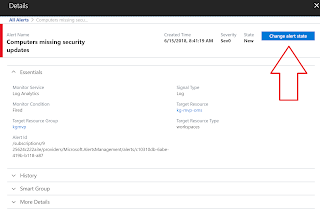 All-in-all, I'm pretty happy with this move as I find that lately, I've been spending all of my time in the Azure Portal instead of the original OMS Portal. 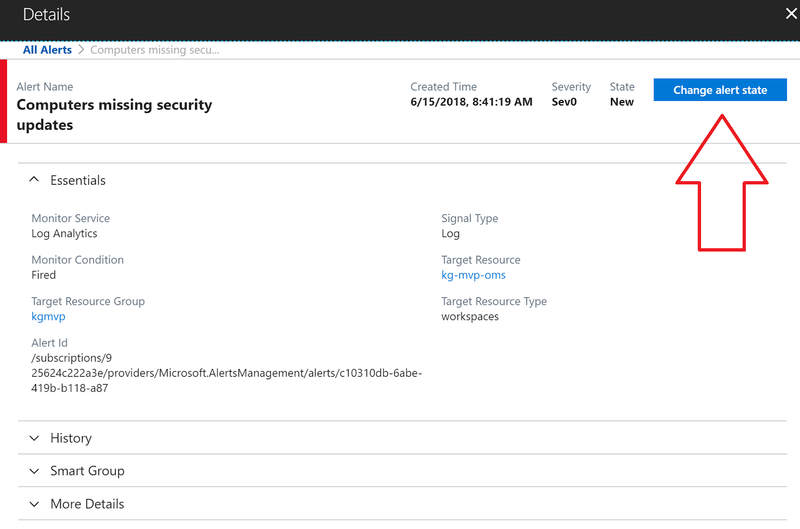 Having the additional management capabilities inside the Azure Portal definitely makes it a more seamless user experience and hopefully others will see the benefit of this too. 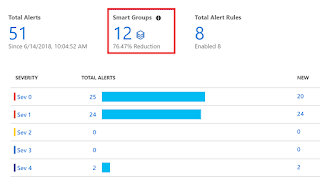 Microsoft's Kevin Holman has just released a very useful new community MP for SCOM that enables you to multi-home large numbers of agents in a phased and controlled time-frame. 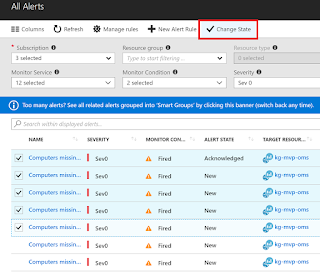 This is perfect for any large side-by-side migrations you might be planning from SCOM 2012 R2 to SCOM 2016 or the latest SCOM 180x release. 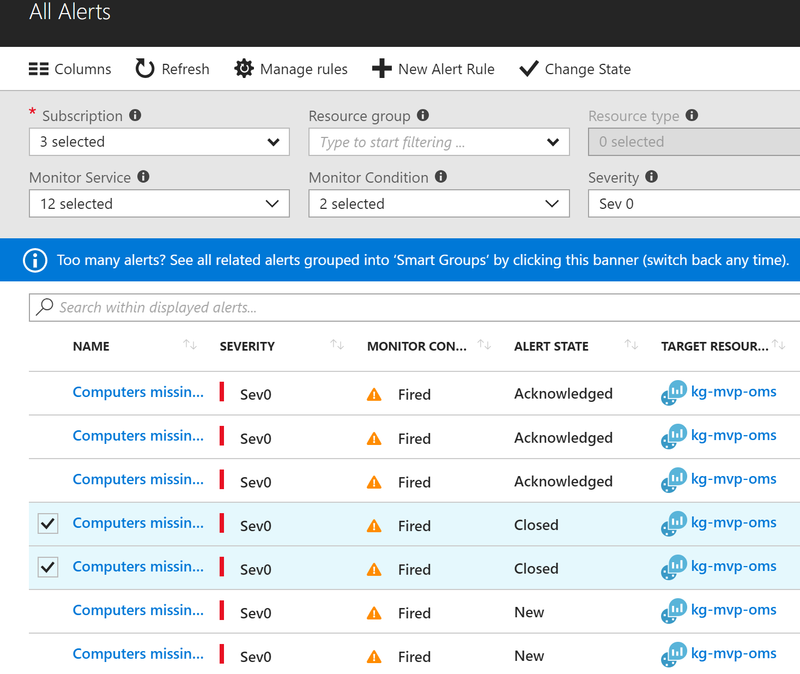 On earlier versions of SCOM, I've used the excellent 'Extended Agent Info Management Pack' from Jose Fehse and over the last year or so, I've been using Kevin Holman's 'SCOM Agent Management Pack' to meet the same requirement. Although both of these community MP's enable me to add or remove Management Group name references on agents (which essentially multi-homes the agent), it's still a manual task that needs to be kicked off from the console. 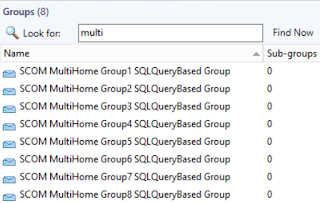 With Kevin's newest 'SCOM Multi-Home Management Pack', this process is made a lot easier through the use of a rule that runs periodically and which is targeted at eight pre-created SQL Query-based groups within the MP. 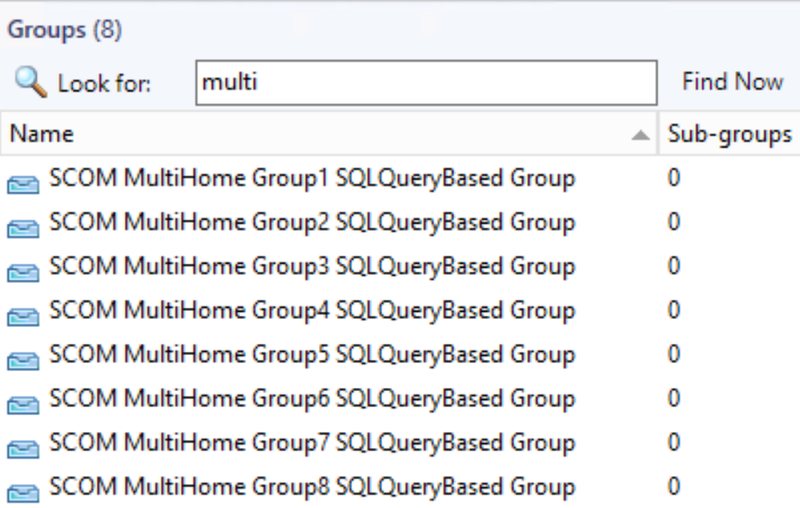 This means that in large environments (think 1000's of agents), the management pack will query the SCOM database and then automatically distribute the number of agents you have across each of the pre-defined groups shown below. 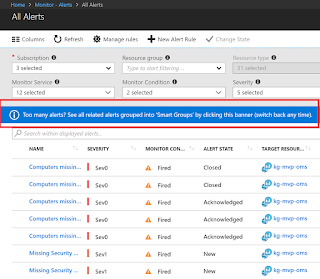 The automatic assignment of agents to the different groups is configured by default to distribute in batches of 500 agents per group however, you can modify this number by editing the group discovery prior to importing the MP into SCOM. 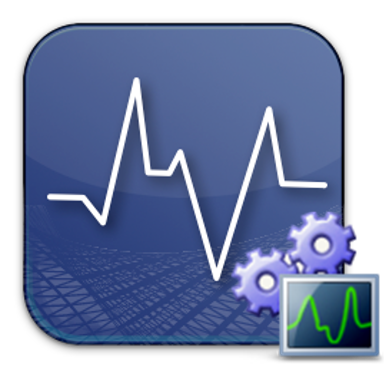 Once the groups have been populated, the MP will then perform a check once a day to validate if the agents have been multi-homed and if any haven't, then it will update those agents using a random time window - thus ensuring your OpsDB doesn't get hammered with the dreaded Event ID 2115 data insertion errors. To conclude, if you're planning any side-by-side migrations that contain large numbers of agents in the near future, then you'll definitely want to try out this MP to make your job easier and to ensure your OpsDB stays healthy. You can get the full lowdown on the MP from Kevin Holman's blog here and you can download it directly from the TechNet Gallery here.